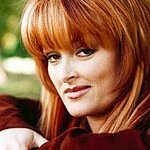 Country star Wynonna is set to release a charity album for the Wounded Warrior Project later this month. Love Heals is a collection of greatest hits featuring three new songs that will be available exclusively through Cracker Barrel Old Country Stores from May 24. For more info and to pre-order your copy of Love Heals, visit CrackerBarrel.com.